The Happold Foundation has been able to award a number of grants to project based across the Globe during 2018. Forming part of our Small Grants scheme, we award up to £1000 towards expenses to help professional engineers offer their time and experience to add value to worthwhile projects. We are proud to be able to highlight the projects that we have been able to support over the last year. 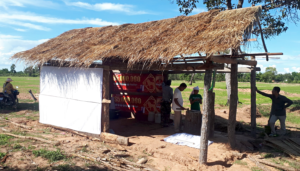 Project Description: To build a new Agriculture-Technology centre and teach farmers in Cambodia new sustainable farming practices so they can be more competitive in the food and agriculture market. Project Description: To build a new lemur research station in a very remote part of northern Madagascar. 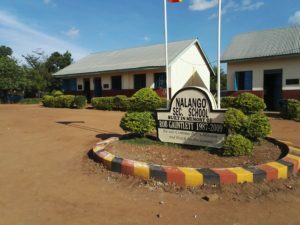 Project Description: Redeveloping the school from informal classes under the mango trees, to a fully functional A-Level school for 800 pupils (including 250 boarders), including science laboratories, and the first library in the area. Project Description: Sharing engineering knowledge and experience to help MASS develop and establish their young engineering team across a number of projects. MASS Design Group was set up as a non-profit organization to create a model of practice optimized to deliver maximum impact to our partners and the communities they serve. MASS believe architecture is a right and a public good and MASS work on projects that are mission-aligned and that serve the public. Project Description: RED Project Borneo is student led voluntary charitable society founded at Imperial College London. Each year, RED constructs an education centre for a rural Bornean village. By procuring local materials and employing local skilled workers, RED supports the local economy. Local workers are taught the importance of health and safety, while RED members gain site experience. Local children benefit from bi-weekly tutoring sessions conducted by the volunteers. Buildings in rural Borneo tend to be traditional timber structures completed without adhering to any fixed standards or guidelines. RED’s education centre is designed in compliance with Eurocode standards and utilises modern construction materials such as steel columns, stainless steel wall frames and cement wall panels. In addition, a solar panel system is installed to provide electricity for the education centre. Project Description: To fund Naomi in attending the 41st WEDC International Conference at Egerton University,Nakuru from 09th to 13th July. Participants had the opportunity to take part in discussions, exchange ideas and learn from one another. Topics covered included wastewater treatment, water, sanitation and hygiene (WASH) in emergency contexts, faecal sludge management and inclusion in WASH. This opened up a great opportunity for Naomi to present her research to experts and peers. She learnt more about the WASH sector and the wider issues, providing more context to her research and thesis. Project Description: A framework is developed based on structured expert elicitation that can be used by NGOs to quantify improvement in safety of the most vulnerable dwellings due to adoption of available technical guidance. The case study of coconut timber dwellings in the Philippines affected by the 2013 Haiyan typhoon is used to assess the effectiveness of full and partial implementation of build back better messages.